A Waste of Food: Why tortilla tossing is more trouble than it’s worth. It’s soccer season again, and I know that many of you out there are more than happy to support our teams. I’m all for cheering and going loco at the game. I’m all for painting faces and swishing towels in the air. I’m all for the vuvuzelas and things that make lots of noise. But one thing I cannot get behind is the tortilla throwing. Personally, I find the throwing of tortillas as pretty wasteful in very many ways. While I am all for messing around on Facebook or occasionally buying something overpriced sometimes just because it is more convenient at the time, this is one activity which I do not find attractive. First of all, I see tortilla tossing as a waste of money. Because I am a bit frugal with my money, I do not like seeing food go to waste. To me, throwing the tortillas is like throwing money away. Even if it is only a few dollars worth, I still believe it is pretty wasteful. The money spent also adds up over time. Let’s say that you and your buddies attend ten of the twelve home games for the men’s team. If a pack of tortillas costs $2.50, then you’re throwing away $25 worth of the stuff this season–twenty-five bucks you could have used somewhere, anywhere else. Even if you personally don’t feel like eating tortillas, there are plenty of other people who would. While I don’t want to get too preachy, the act of throwing away food could be upsetting to people who are going hungry. Your pack of tortillas (or even the money you put down to buy them) could go to people who don’t have the luxury of throwing around food. As I mentioned earlier, if you’re spending about $25 per season, give or take, then might it be better for you to take that money and donate it instead? 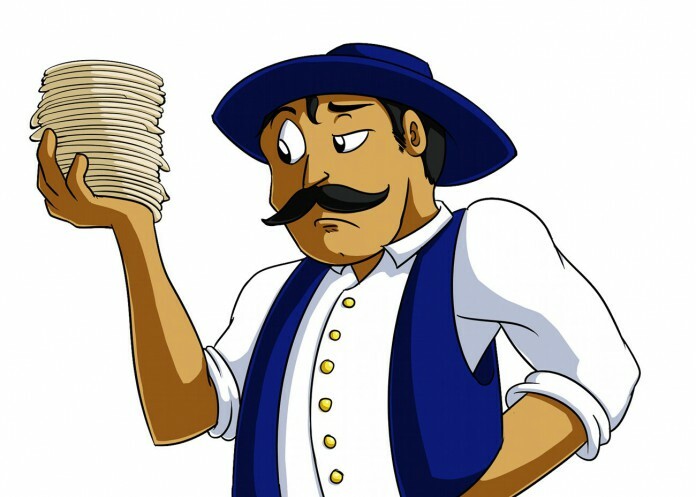 Furthermore, the tortillas become a hassle to the people who keep our fields clean. The fact that the athletics department has some of its players run out into the field to pick up tortillas shows that the custom creates some problems. It also means that without the tortilla throwing, the volunteers who take time out of their nights to pick up after the fans could be spending that time volunteering for some other, perhaps more pleasant, duty. That doesn’t include the extra time it takes to clean up when the tortillas end up in the bleachers instead. The tortillas also pose a safety hazard. They are thrown out into the field, so it’s entirely possible that a player could slip on one by mistake. They could simply bruise themselves or get badly injured and get taken out of a few games or longer. There are also tortillas that land in the bleachers instead. Maybe someone could slip on one while coming down the bleachers, and tumble down more than a few steps. That someone might fall onto the people in front of them too. When the tortillas are being thrown, maybe someone could get hit in the eye. Granted, a few of these possibilities could be extreme cases, but nonetheless, they could happen. So I suppose I just do not see the appeal as much as other people do. Regardless of whether you agree with me or not, I still encourage all of you to go support our teams this season, but in more sustainable ways than this.